A hybrid car and a contactless loyalty card is the new high tech sustainable offer for Finnish consumers from Kesko. Owners of both will soon be able to charge their cars for free in three regions while doing their grocery shopping. After one hour of charging, the car is set for approximately 100 kilometers more. The first electric vehicle charging points will be opened by the end of this year in Turku, the Greater Helsinki area and Lahti. Charging will be activated using a contactless K-Plussa card and it is offered free to customers. The first charging points will be available at the car parks of K-citymarket Tammisto in Vantaa, the Merituuli shopping centre in Espoo, K-citymarket Länsikeskus and K-citymarket Kupittaa in Turku, and the Karisma shopping centre in Lahti, each with four charging bays. “We want to offer good service and help our customer make choices for the benefit of the environment. The K-Group is engaged in long-term responsibility work, in which one of the key themes is the mitigation of climate change and the reduction of emissions”, says Matti Kalervo, Kesko’s Vice President for Corporate Responsibility. And they don’t have to own a Tesla, the best known electric car brand which currently has two shops in the Helsinki area. It will be possible and safe to charge all types of rechargeable vehicles at the charging points to be made available at the K-store car parks. 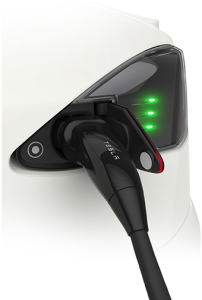 The charger will have a Type 2 socket, suitable for Mode 3 charging, in which the car’s charging lead is plugged. “The recharging times of vehicles vary slightly, which is due to their different charging capacities. The chargers’ maximum charging rate is 3 x 32A, which means that at best, a travel distance of nearly 100 kilometres is possible from a one-hour charge”, says Engineering Manager Jari Suuronen. Kesko is having charging points for rechargeable vehicles built at its most significant store sites. The charging points will have clear signs to make them easily identified in the car park. In addition, a reservation for a charging point is made, or a charging point is built, in all new and rebuilding store site projects. Kesko’s partner in the charging system implementation is Plugit Finland Oy.